Thanks to Monty on twitter for pointing this out! 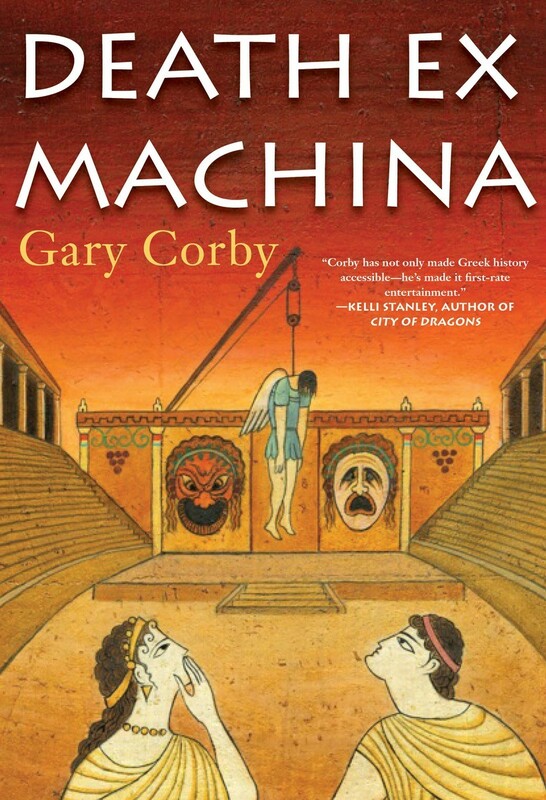 It goes rather well with Death Ex Machina, and talks about three of my characters. The American Library Association has a magazine and a web site where they post reviews of books. This review of Death Ex Machina just came online, and it is rather nice for the book's author to read! 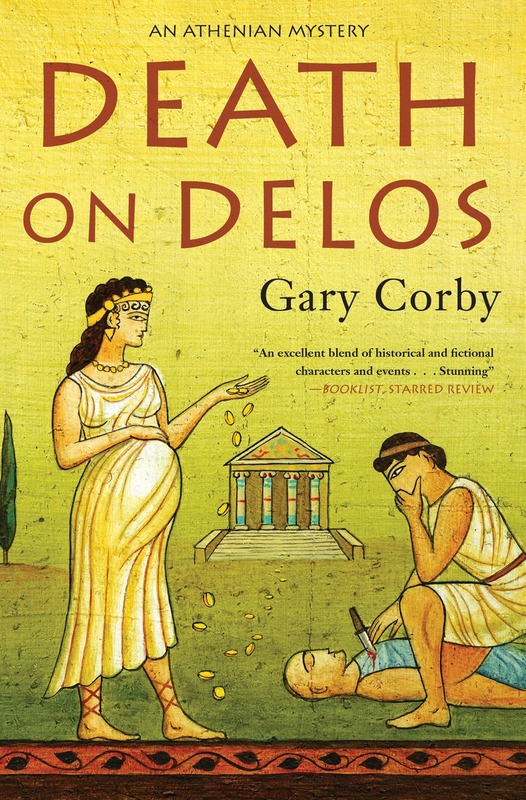 Corby is adept at delineating ancient Greece without sounding professorial. Having Nicolaos as a first-person narrator helps; he’s the ideal tour guide to the theater and the city around it. 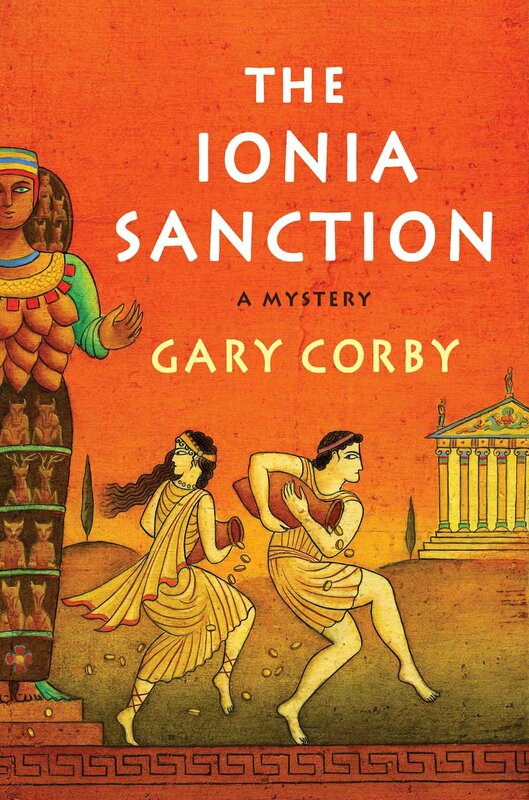 The characters are a mix of fictional and actual, with the latter including Pericles, Aeschylus, Sophocles, and the child Socrates, who drives everyone crazy with his questions. This works on every level. Death ex Machina Happy Release Day to me! If murder mysteries set in the ancient world are your thing, then the good news is Death Ex Machina went on the shelves today. I'm very pleased with this one. It's the first adventure for Nico and Diotima as a married couple. For a running series that's a big transition! How will they cope with the marital state? 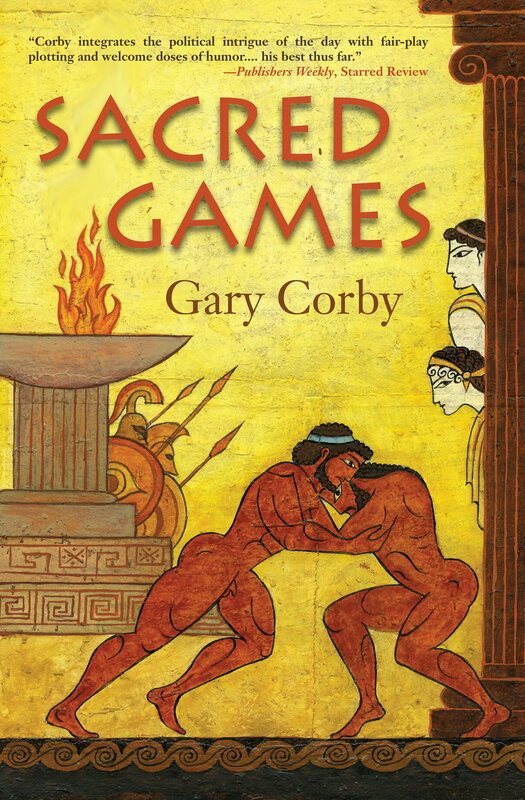 The murder is decidedly theatrical, as you can tell from the cover. Since our heroes are living right at the birth of theatre, there are plenty of big names to make an appearance. Plus I'm always fond of a good pun, and Death ex Machina was too good to pass up. Death Ex Machina: Publisher's Weekly starred review! But the success of the event is in doubt after a series of accidents on the set of Sophocles’s play Sisyphus. The cast members believe this is the work of a ghost. 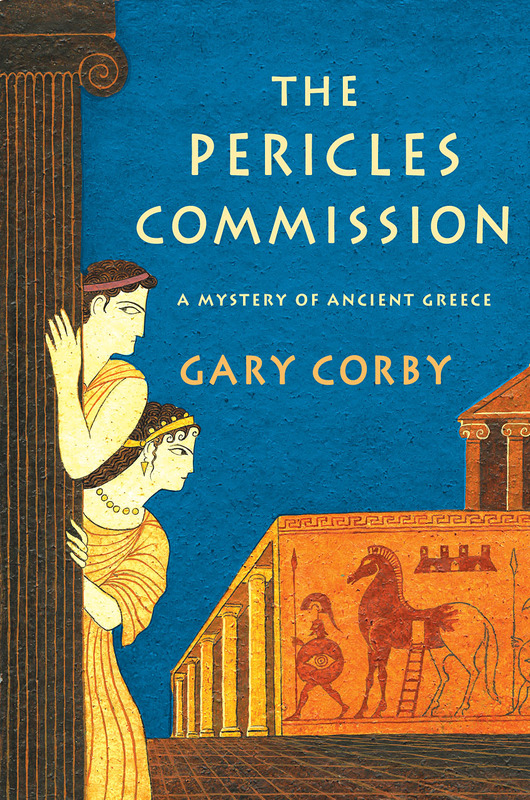 Pericles, the city’s most powerful man, asks Nicolaos, his inquiry agent, to get rid of the ghost. Unfortunately, not long after Nico arranges for an exorcism ritual, one of the actors is murdered, suspended from the machine designed to hold the character of Thanatos, the god of death, in midair during the performance. Under pressure to find the killer quickly as the festival start date looms, Nico resorts to a clever and amusing ploy to buy more time. 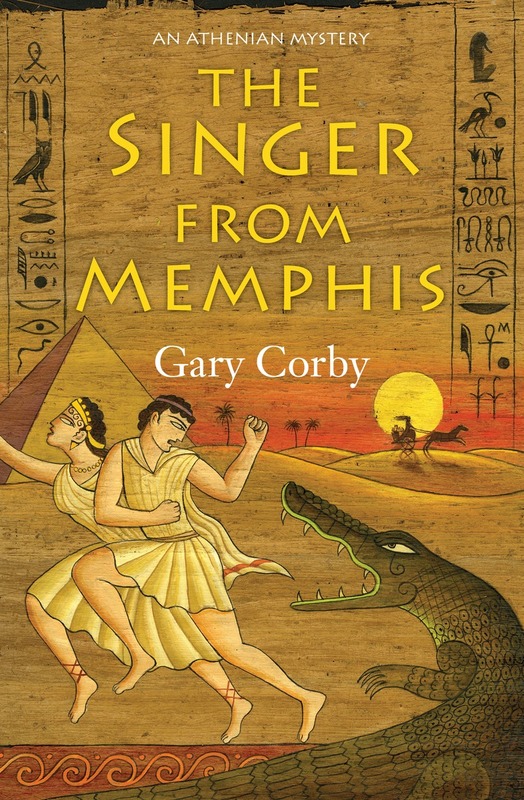 Corby again manages to effortlessly integrate laugh-out-loud humor into a fairly clued puzzle. Death Ex Machina, and a giveaway! 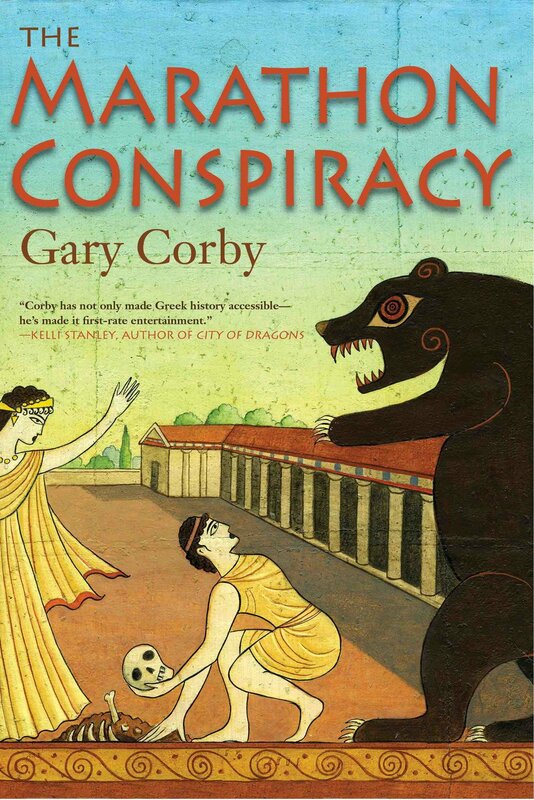 A theatrical murder sends classical Athens into uproar! This is the fifth adventure for Nico and Diotima. I'm afraid life isn't getting any easier for the only private agent in ancient Athens, but at least he has a chance to get into show biz. My astoundingly excellent publisher Soho Press is doing a giveaway on GoodReads. Click here to enter the giveaway!